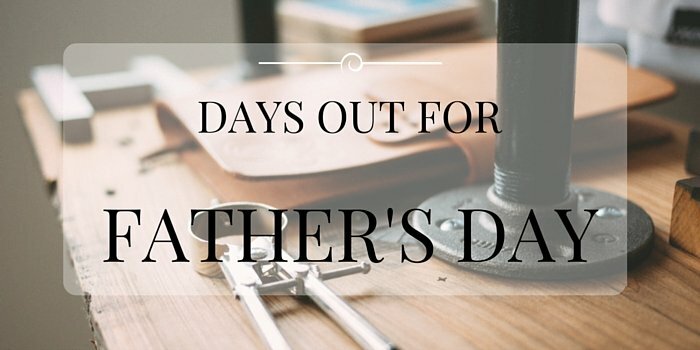 Instead of deciding to buy your Dad a physical present this year for Father’s day, why not treat him to the day out that he deserves and make the day memorable for him? Most Dads enjoy driving although each Dad has his preferred vehicle. Some enjoy their sporting cars others prefer larger cars. There are a number of sports cars you can treat your dad to driving, with some experiences allowing you to drive more than one sports car in one day. He can drive an Aston Martin, Ferrari, Lamborghini and many more. For those dads who love something a little different there is always the option of taking them off-roading. Wales is home to a number of fantastic mountains and hilled areas, making it the ideal place for off-roading. If your dad and you are competitive then what better place to take him then go karting. Race your dad around the track although it might be a good idea to not beat him on Father’s day. There are a variety of flying experiences you can take your dad on including flying lessons in a small plan or helicopter. If this isn’t something that would interest your dad and he is more of sightseeing guy then historic city sightseeing helicopter ride might be the thing for him. For the more adventurous dad perhaps taking him up in an Aerotow or Two winch launch glider flight might be a little more his cup of tea. One of the best ways to spend the day and bond with your dad is fishing. There are many places you can take your dad fishing from the coast to a nearby fishing lake. It is the perfect activity to spend some quality time in the peace and quiet with him. If your dad is more of an adrenaline junkie then white water rafting is something that he will enjoy. You can either join him on this activity or just watch from the bank. There are plenty more options of activities to take your dad out on. If your family prefers quieter celebrations then simply going to a nice restaurant or gastro pub can equally make his day. These days out can be great fun with your Dad and you never know you could get him into a new sport! If this happens then you might need some extra space to store all his new sporting equipment. Storage Giant can help with that. Our storage units start from as little as £5 per week.